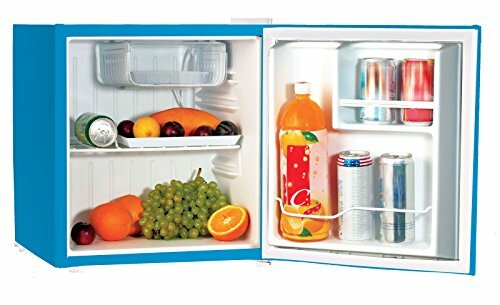 Cute Mini Fridges for the Bedroom, Office or Dorm Room! I fell in LOVE with these Cute Mini Refrigerators for Sale! Having a small refrigerator in your room is the next best thing after having your very own bathroom! Why not buy yourself or someone you love a cute mini fridge this year? It is the best thing to have in a dorm room or your bedroom! Whenever you feel thirsty you know your nice and cool drink is inches away from you! No more getting up in the middle of the night and having to walk all the way to the kitchen for a glass of water! *This is the Coca-Cola bottle shape mini-fridge! Looks like a giant coke bottle but it is a mini fridge! This is the most fun coke bottle shaped mini fridge around! Huge hit in parties and family gatherings! I think getting a cute mini fridge as a gift is also a very “cool” idea!! But remember….. It has to be cute!! I came across some really awesome mini refrigerators for sale and I had to show them to you! My favorite ones are the coke can and coke bottle shaped ones! Needless to mention, but I will anyway, cute and practical mini fridges make great gift ides for college students! Red Coca-Cola Can-Shaped Mini Fridge for Sale! 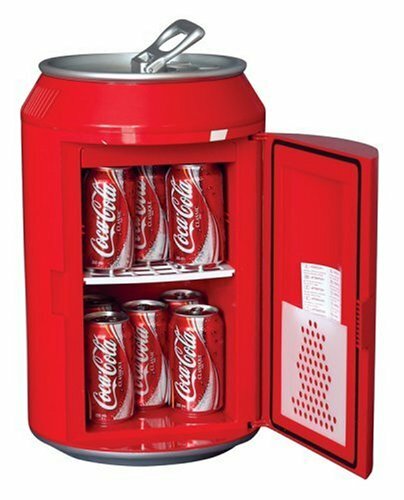 A fun red Coca-Cola can shaped mini-fridge! 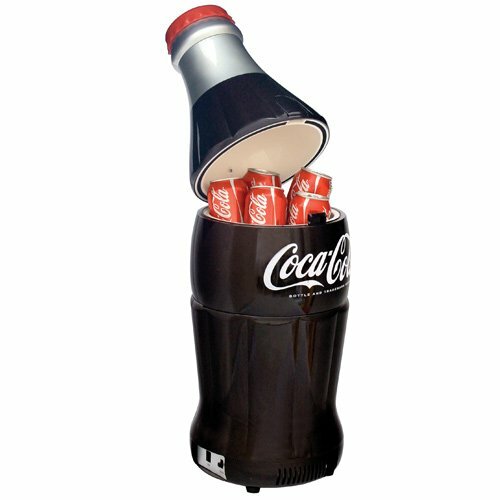 Great for offices, dorms, kitchen, living room or anywhere you want to drink a cold Coke! How’s that for a very ‘cool’ Christmas gift? 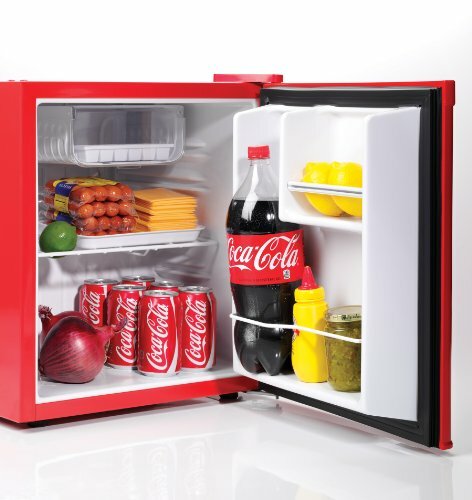 Very Cute and Compact Red Coca-Cola Mini Fridge! 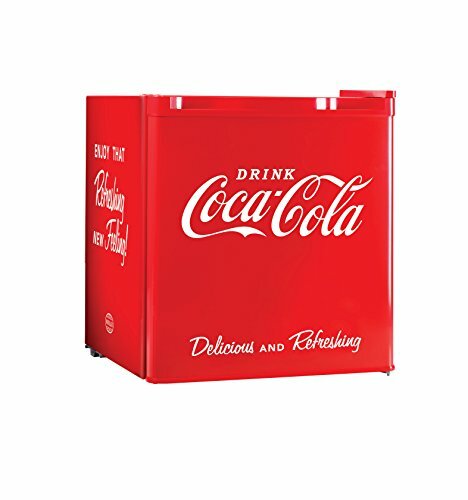 This cute and fun red Coca-Cola mini-fridge is perfect for a dorm room or teenage girl’s bedroom! When they have a sleepover they will have access to their favorite drinks without having to go all the way to the kitchen! 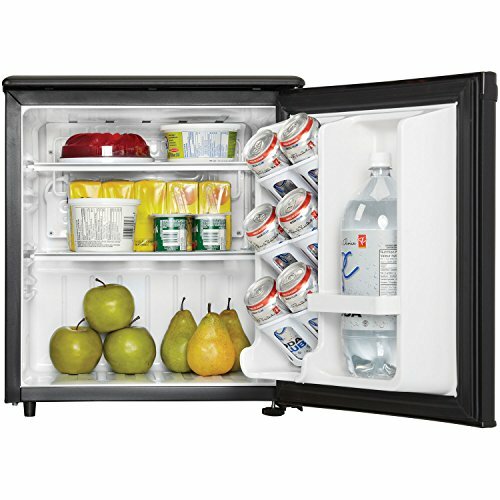 Happy buyers say it is a very cool mini-fridge and keeps their favorite beverages super cold! *This is how it looks inside! What a fun mini fridge for sale! You can write and erase messages on the door! Perfect to write cute messages for your loved ones, boyfriend, girlfriend or reminders of things you need to do! It has two adjustable shelves and a freezer! I say ‘Yes’ to this cute mini fridge! Very Nice and Compact Refrigerator for the Bedroom! 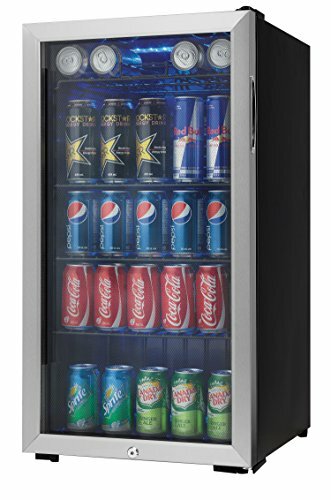 Best Mini Fridges for Sale! 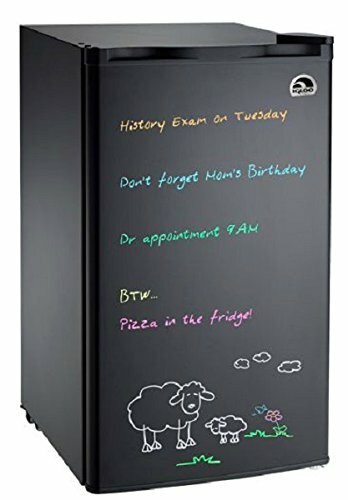 This is a beautiful and very functional cute black mini-refrigerator for sale that is absolutely perfect to have in your office, bedroom or dorm room! It holds a lot of beverage bottles, fruits and snacks inside for at least two people! *After doing a lot of research on these, I decided to buy this one for my teenage daughter’s bedroom. Now she can have lots of friends over on the weekends and have all their snacks in the bedroom. It holds all her favorite beverages and other snacks! 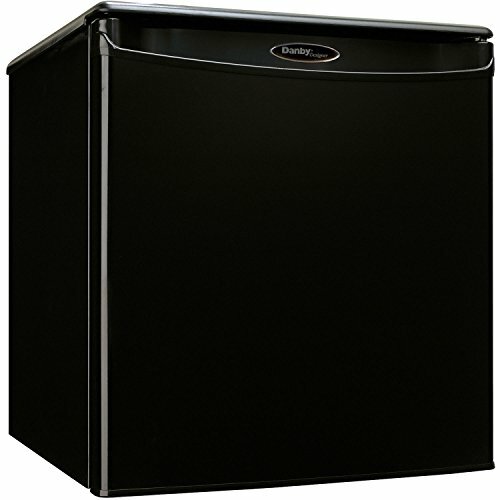 *So far we are very, very pleased with this cute black mini fridge. It makes almost NO NOISE! We placed it under her table, right next to her bed. The price is very good and you can also get it in several other sizes! I am even considering buying a second one for my bedroom too! It cools the food real quick too! *Very Unique Portable Garage Toolbox Refrigerator, 1.8 Cubic Feet RED! This is one of the coolest portable mini-refrigerators to have in a garage! 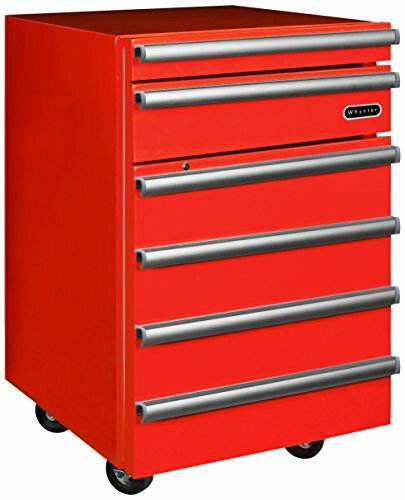 It has a very cool toolbox design and a gorgeous RED color! I love the fact that it is portable! It has nice rolling wheels that makes it super easy to move this cute fridge anywhere you want! *Perfect Mini Fridge to Hold Over 100 Cans! This ‘beverage center’ refrigerator is very practical! Very cute and absolutely perfect for a college student’s dorm room or bedroom! It can actually hold about 120 cans of soda, juice or beer! It also has three wire shelves inside that you can adjust to better fit your beverages any way you want. What a Cute and FUN Bright Blue Mini Fridge! 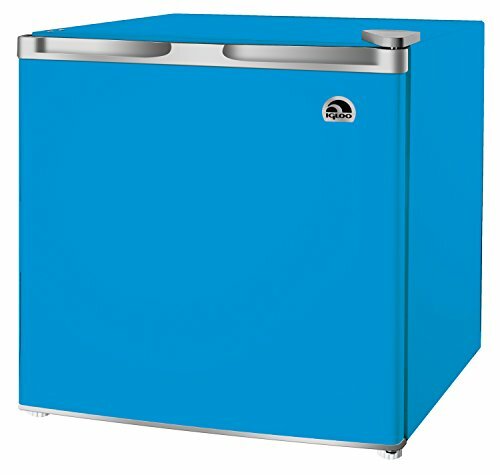 How cute is this bright blue mini-fridge? Just imagine having this cute and colorful refrigerator in your bedroom or dorm room?